THE HUNT IS NOW OVER, BUT BE SURE TO CHECK BACK IN FOR THE FALL 2017 HUNT! Welcome to YA Scavenger Hunt! This bi-annual event was first organized by author Colleen Houck as a way to give readers a chance to gain access to exclusive bonus material from their favorite authors…and a chance to win some awesome prizes! With this hunt, you not only get access to exclusive content from each author, you also get a clue for the hunt. Add up the clues, and you can enter for our prize–one lucky winner will receive one book from each author on the hunt in my team! But play fast: this contest (and all the exclusive bonus material) will only be online for 72 hours! Go to the YA Scavenger Hunt page to find out all about the hunt. There are five contests going on simultaneously, and you can enter one or all! 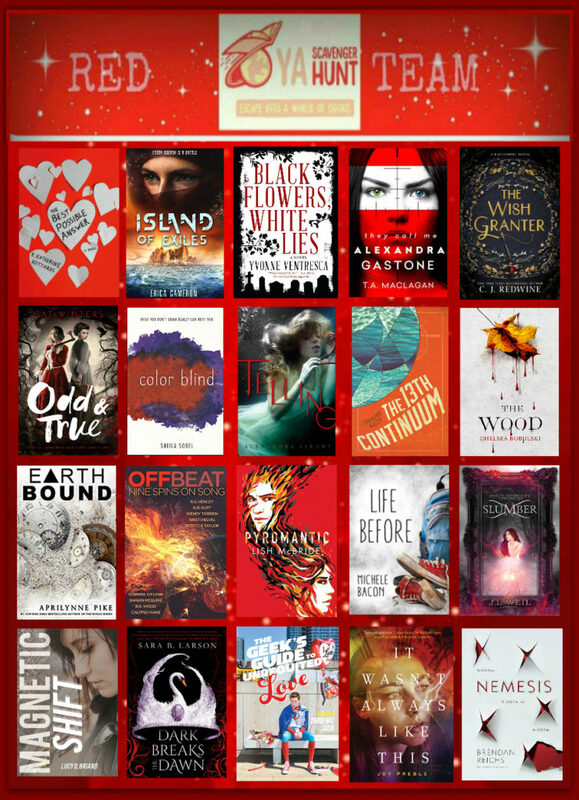 I am a part of the RED TEAM–but there is also a blue team, a gold team, a pink team, and a purple team, each with a chance to win a whole different set of books! Directions: Below, you’ll notice that I’ve hidden my favorite number. Collect the favorite numbers of all the authors on the red team, and then add them up (don’t worry, you can use a calculator!). Rules: Open internationally, anyone below the age of 18 should have a parent or guardian’s permission to enter. To be eligible for the grand prize, you must submit the completed entry form by Sunday, April 9th, at noon Pacific Time. Entries sent without the correct number or without contact information will not be considered. Today, I am hosting Alexandra Sirowy for the YA Scavenger Hunt! Alexandra Sirowy is the author of the young adult thrillers THE CREEPING, the Bram Stoker Award® Nominated THE TELLING, and the upcoming FIRST WE WERE IV. Alexandra attended a women’s college for her undergraduate work in International Relations and received her graduate degree in International Studies. When she isn’t writing, she likes to travel, read, cook, eat, and get into mischief. She lives with her husband in Northern California. Find out more information by checking out Alexandra’s website or find more about her latest book, THE TELLING, here! 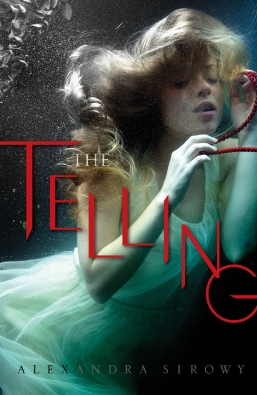 Hi, I’m Alexandra Sirowy author of the YA thriller and Bram Stoker Award Nominated THE TELLING, out now from Simon & Schuster BFYR. There are liars, schemers, best friends, enemies, heroes, and villains in this dark and twisty thriller, and it’s not easy to tell who is who. I had the idea for THE TELLING while staying on an island in Washington. There were sailboats in the indigo waters, bonfires dotting beaches, and a seemingly idyllic town. I couldn’t help but wonder, what lies beneath this glittering façade? A fictive island as eerie as it was alluring took root in my head. THE TELLING is the story of two main characters, step-sister, Lana, and step-brother, Ben. They have childhoods rich in make-believe and cast themselves as the heroes of their stories. This is before. THE TELLING begins after, with a mysterious murder, a secret past, and seventeen-year-old Lana setting out to become the hero of her imagination. Welcome to Gant Island. 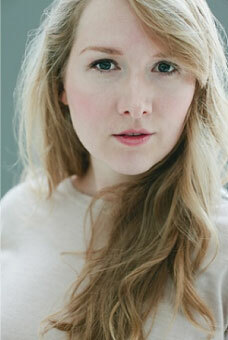 I hope you enjoy this glimpse into THE TELLING’s intrigue. It was June 8, half past eleven. Ben’s and my movie night had been interrupted. We’d eaten lobster tacos and I drank two beers, which was two more beers than I’d ever had before. Then a pissy Maggie arrived. She and Ben started fighting—a blustery, name-calling argument. He’d broken up with her five days earlier. She wasn’t supposed to show up at our house anymore. She had to accept they were over. For good. Although I didn’t pick up on it as it played out, it was suspicious that she had a friend drop her off, only to demand a ride home. No, she wouldn’t let Ben order her a car when he offered. No, she wouldn’t sleep off her buzz in the downstairs guest room. The three of us braced ourselves against the early summer breeze as we filed along the path to where Ben’s SUV waited in our driveway. I was pouting, letting my flip-flops spray pebbles at Maggie’s heels. She scowled at me before she climbed into the front passenger seat—without even bothering to call shotgun. I sat in the back, pulled my knees to my chest, leaned against the window. “Turn the heater on,” I whined. I stuck my earbuds in and was listening to the kind of angry, screeching punk I don’t even like just to tune her out. And here’s the second worst thing I’ve ever done. I fell asleep, and I couldn’t tell the police what happened next. Two hours later my ears buzzed with the sharp, stuttered ding of car doors left ajar as the police tried to make sense of the blood splatter in the interior. The engine had been left running. My earbuds dangled out of the rear door, where I’d thrown them after yanking my cell free to dial 911. Each time the breeze picked up they swung, grating against the road. I’d never use them again. The wind hissed through the pines behind Maggie and me. The police had set up perimeter lights; they stretched our shadows and threw them back at sharp angles. Mine was trying to detach from my feet; it wanted to run and hide. A police officer, his finger on the trigger of a camera, blinded me in intervals. The light flashed in my peripheral vision as a second officer captured the splatter on Maggie’s face, arms, and torso. Ben’s blood had gotten in my mouth; it was all I could taste as we waited for the detective Gant PD had called in from Seattle to direct the investigation. Detective Sweeny started a mile down the highway, with another group of officers examining the crime scene where Maggie and I had left Ben to his attacker. Sweeny was small and wiry, cutting through the blockish male cops in uniform. She sized us up with close-set eyes as she approached. Unlike every other officer, her gaze stayed steady, ticking over the details of us like Willa absorbing a study guide before an exam. Sweeny didn’t flinch away from all that blood. We’ll be okay now, I thought. Sweeny introduced herself. She was a homicide detective. Then she held up her hand when my expression went runny and frantic and added, “Let’s not get ahead of ourselves. The detective part is why I’m here.” She asked me if I’d been able to reach my parents. They were in Seattle overnight and their phones were off, and she seemed concerned when I told her there was no one else to call. Ben hadn’t been found; the police were searching; the coast guard had been mobilized. Only Maggie knew the first half. She could lie and I wouldn’t be able to contradict her. We were a couple of miles before the narrow bridge that connects Gant Island with the Olympic Peninsula. It was the only route to take Maggie to where she lived, off the island. Maggie told the police that Ben and she were arguing. The car slowed. Maggie looked up to see why. To the right there were rocky bluffs that plunged to the island’s heaving waters. To the left there was a dark, meadowy slope that ran until a distant wall of pines. “A man appeared in the middle of the highway,” Maggie whispered. “No. He wasn’t there and then he was. He appeared,” Maggie insisted, her voice rising. For more about THE TELLING or my first young adult thriller, THE CREEPING, you can check out my website, Tweet me, find me on Instagram, or read about my books on Goodreads. To enter, you need to know that my favorite number is 8. Add up all the favorite numbers of the authors on the red team and you’ll have the secret code to enter for the grand prize! To keep going on your quest for the hunt, you need to check out the next author, Sheila Sobel! Happy Scavenging!